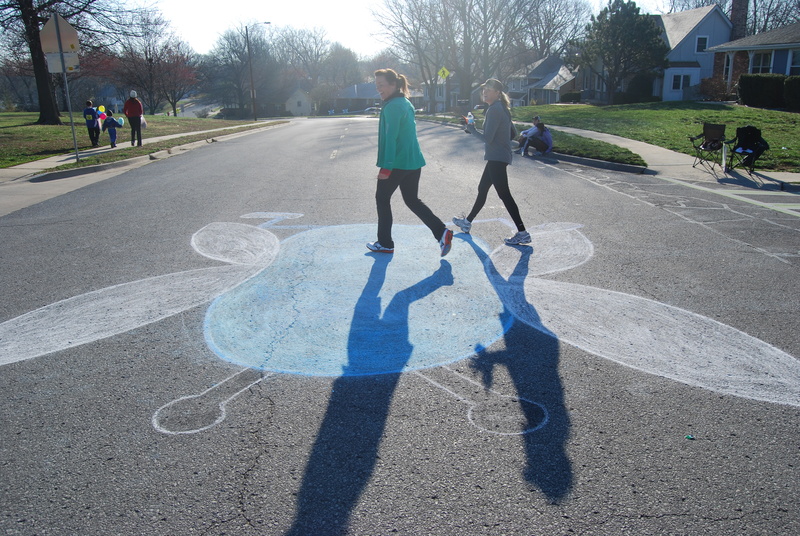 6th Annual BUG RUN held April 7, 2018. 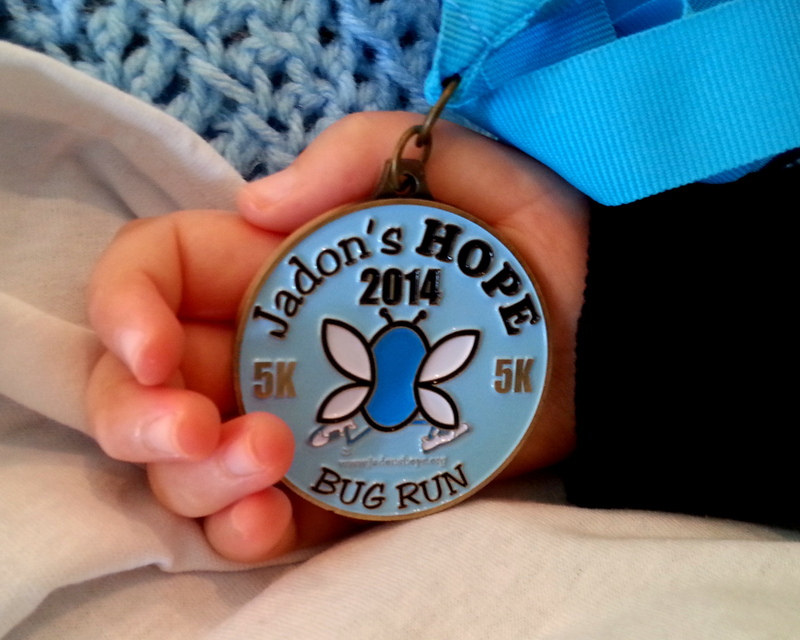 Each and every year we are blown away by the amount of support we have for the BUG RUN. 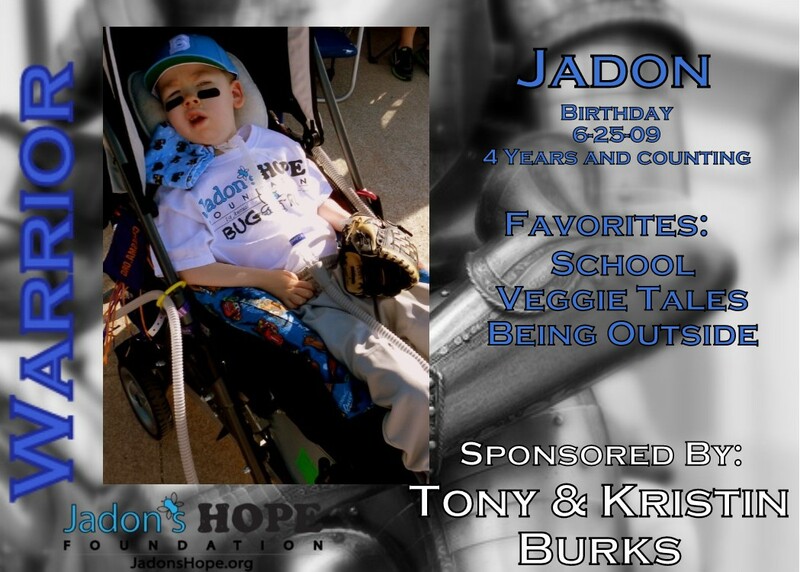 It truly warms our hearts to see people jumping on board to support our SMA community and our little hero, Jadon “The BUG” Burks. 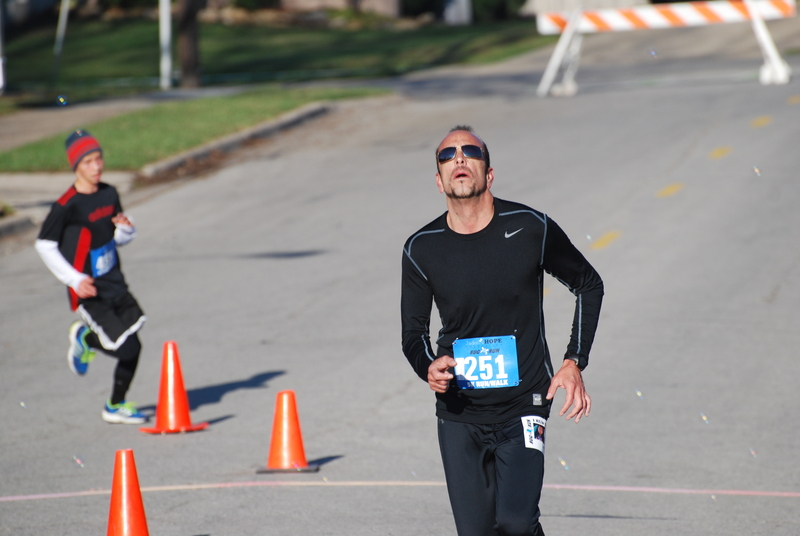 However, this year’s race was nearly the race that wasn’t. With a winter storm in the forecast (IT”S SPRING!!! Buuuuuuut) the city needed to make a decision on our race. Our committee is completely incredible. Our “Amazing Race Director” (That’s now her official title) Amy Vrban keeps us all organized and everyone does their part with such dedication and enthusiasm. We are truly humbled. It was futile to think we could control the weather, but we could pray, and that’s what we did. The forecast began to change and the 90% chance of possibly 3” of snow became a 5% chance of a trace of snow. IT WAS REALLY REALLY COLD! Did we mention that it was COLD? The week leading up to the race was possibly more stressful than other years, but possibly it was even more rewarding. We were relieved to simply have the event. 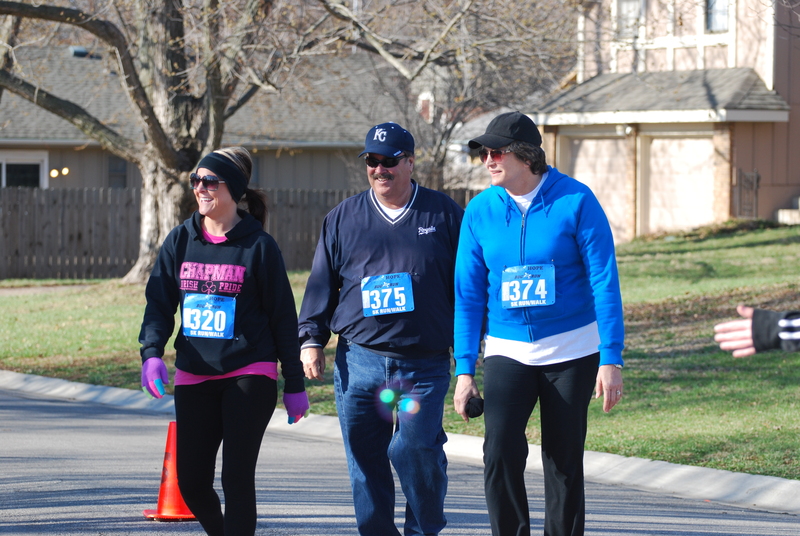 Despite the cold, the racers showed up to race. DJ Ty was there to spin some tunes and help us keep things moving. The kids showed up to sing the national anthem. The city was there to keep us safe and we had ourselves a BUG RUN. We hope the 6th annual BUG RUN will be the coldest we ever have and we hope it never rains but the only forecast we can be sure of is this: If there is a BUG RUN, there is good in the world. 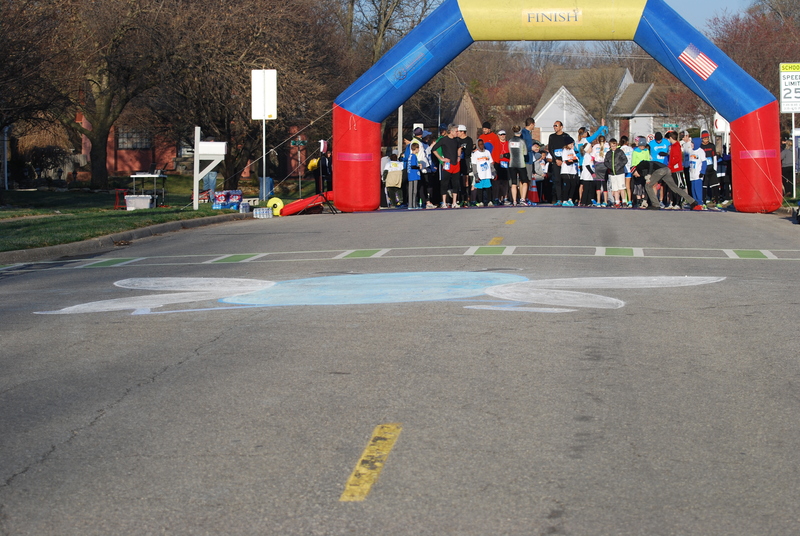 SEE YOU NEXT YEAR AT THE 7TH ANNUAL BUG RUN! 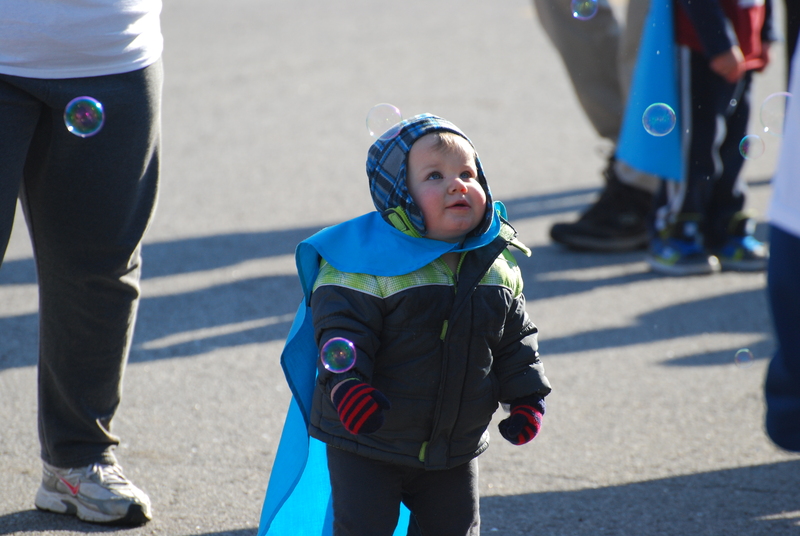 On April 5th 2014 nearly 600 people gathered on a frigid day in Olathe to take a stand against Spinal Muscular Atrophy (SMA). Planning of The Second Annual BUG RUN began exactly 363 days earlier. The groups of volunteers that have worked on the BUG RUN for the last year have been nothing short of amazing. 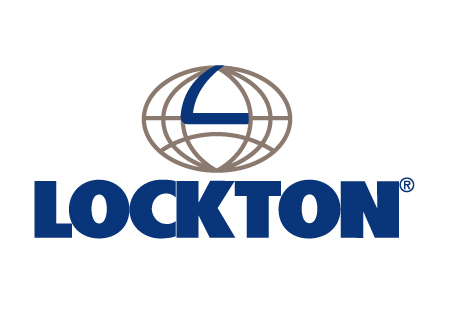 We would not be able to fit an adequate number of Thank Yous in this blog. 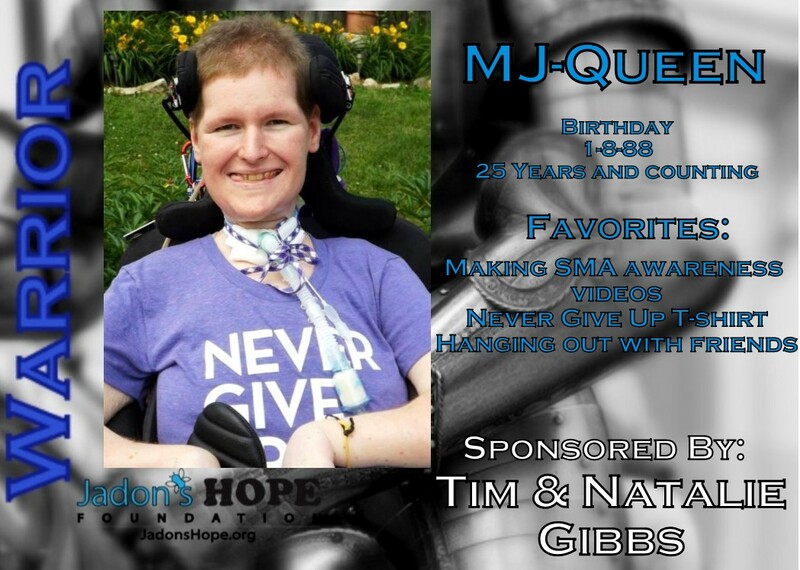 We are completely blown away on a regular basis by those around us and their dedication to the fight against SMA. 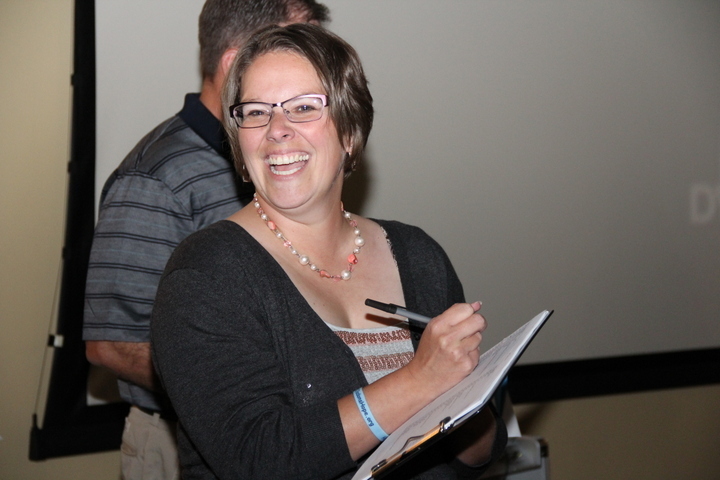 The BUG RUN race director Amy Vrban does an amazing job getting (and keeping) everything in order. She has a spectacular group of people who each do their part perfectly. Big giant thank yous to Cathy, Jennifer, Melissa, Melissa, Katie, Andrea, John, Lori, Jennifer, Suzie, Michelle, Joanne, Leslie, Allison, and Julie. Beyond this core we had close to 150 volunteers the day of the race as well as so many people simply spreading the word. THANK YOU. We couldn’t hold the event if it wasn’t for our amazing sponsors, many of whom were sponsors for the second year in a row. Thank You so much. The goal was to make this year better, and hopefully bigger. Both goals were substantially surpassed. 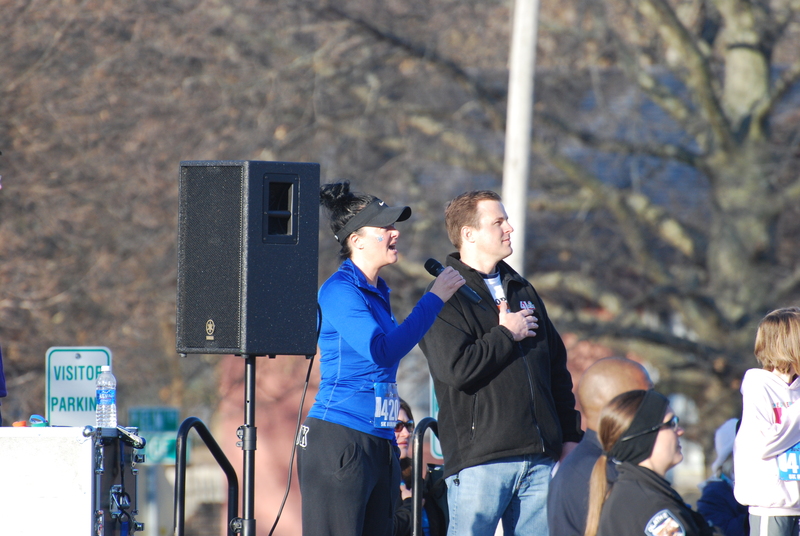 Our emcee, Patrick Fazio of 41 Action News and Kristin kept the crowd engaged with commentary and SMA trivia leading up to the start of the race. 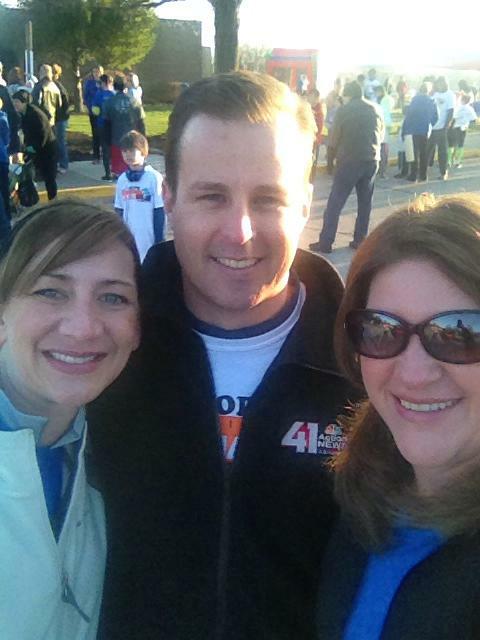 The big surprise for Kristin and I came when Olathe Mayor Mike Copeland presented a proclamation that the day would be known as Jadon’s Hope Day. I could barely keep my emotions off my cheek when I thought of the city recognizing the disease as well as the foundation. You can’t cry in front of the Mayor! 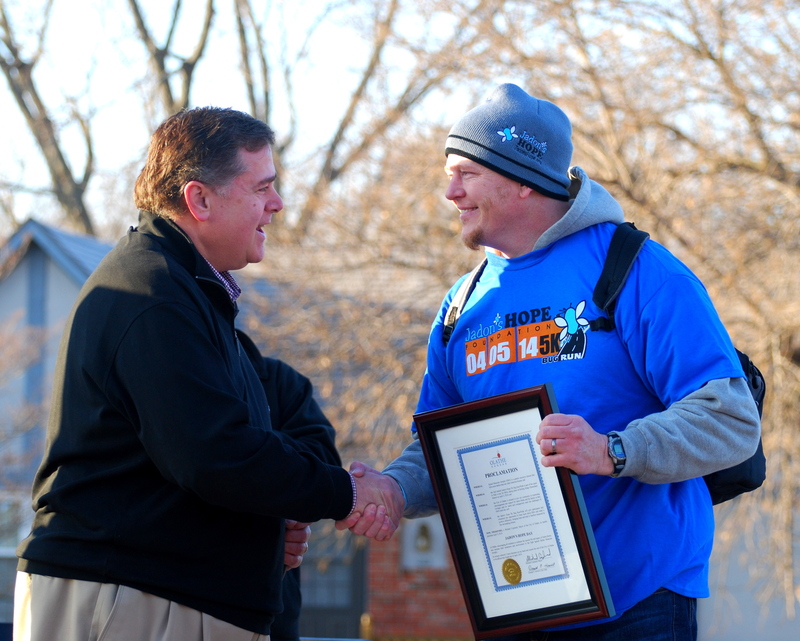 Mayor Mike Copeland presenting a proclamation. Michelle Boucher singing the National Anthem. The National Anthem was amazing. 61 balloons for 61 angels. 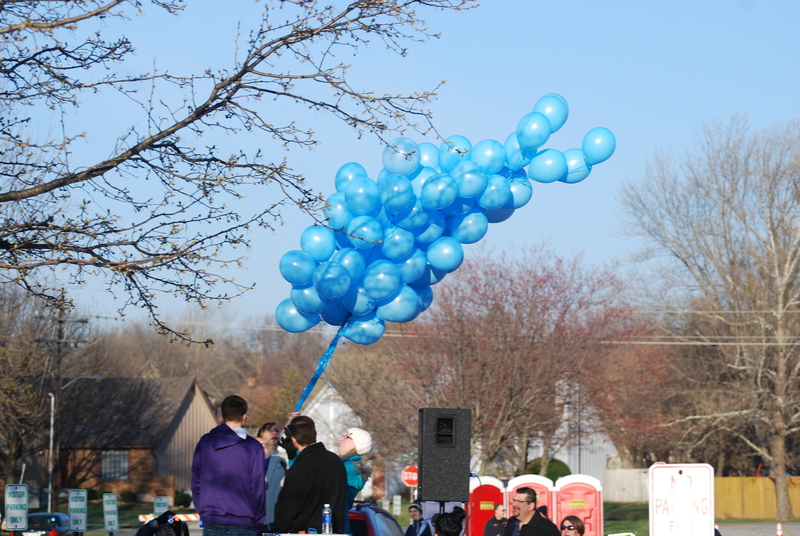 61 balloons were released in honor of the 61 angels that gained their wings in the year since the last BUG RUN. This portion of the day was extremely emotional for us as we thought of those 61 families who go to bed at night wishing they had just one more day with their little ones. 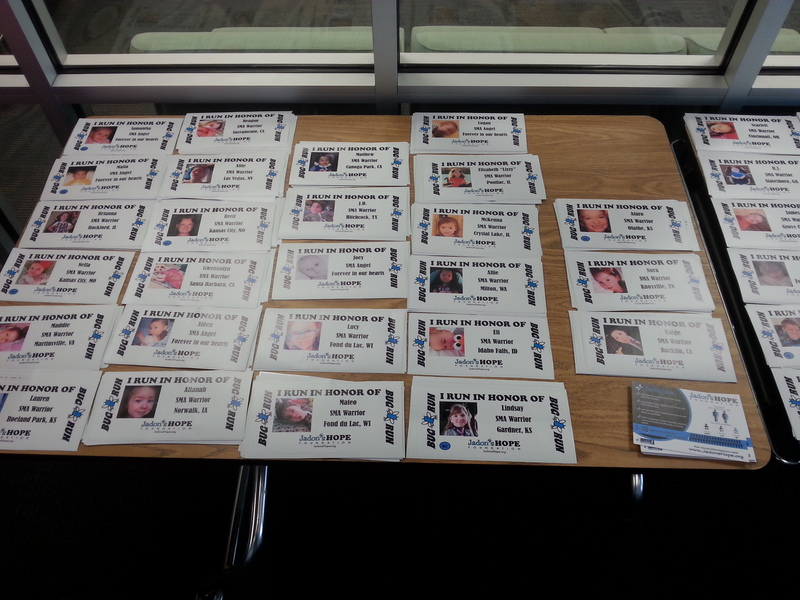 These are kiddos whose stories we have followed, some we have met personally, but all have touched our hearts. There are so many others who don’t even know about because they don’t make a connection and possibly don’t have the support they desire. We want every family who wants help to get it. 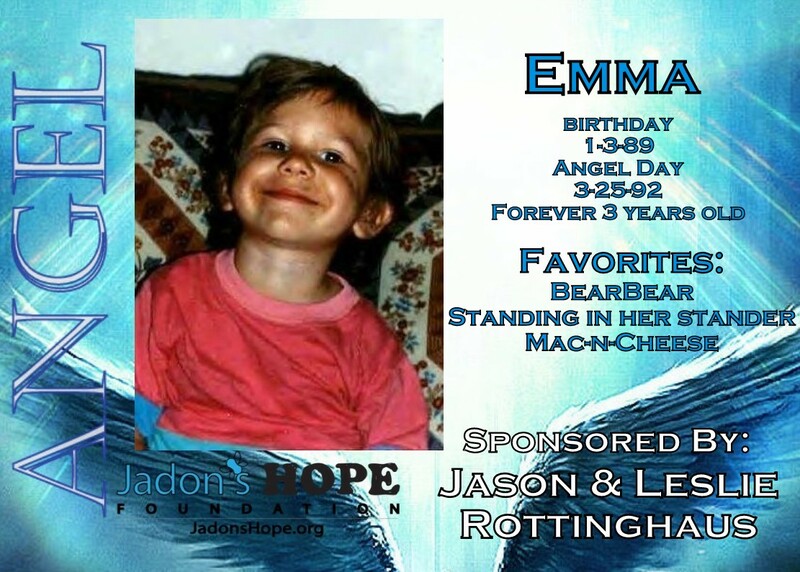 We want every family who has lost a child to know they WILL NOT be forgotten. 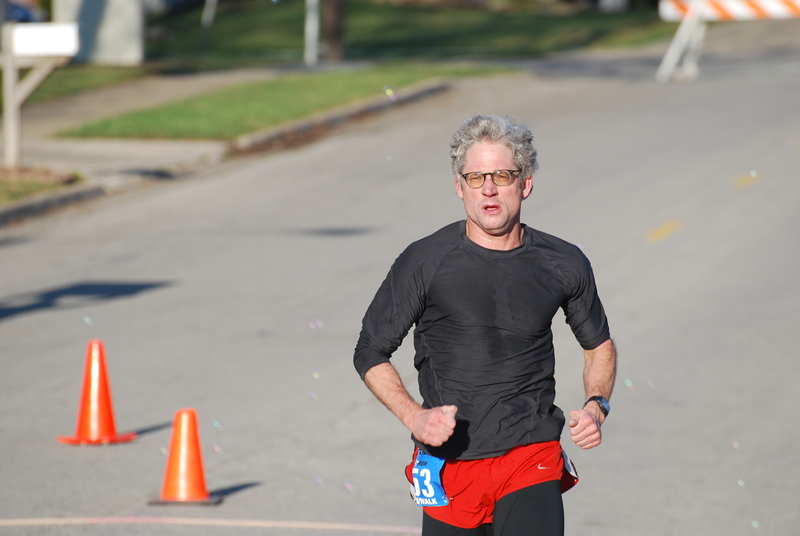 “I RUN IN HONOR OF” stickers. 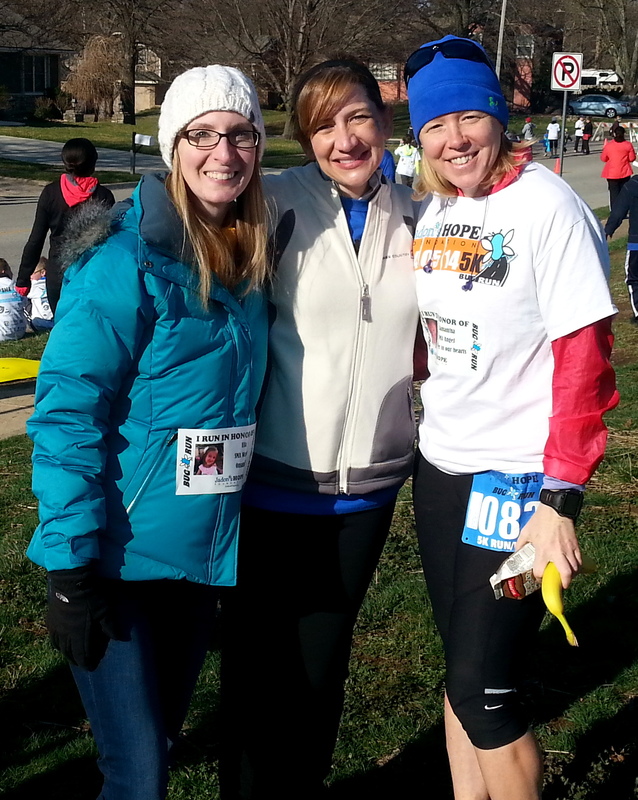 This year runners had the option of running for an SMA child. They simply chose a sticker from 60 SMA warriors/angels. 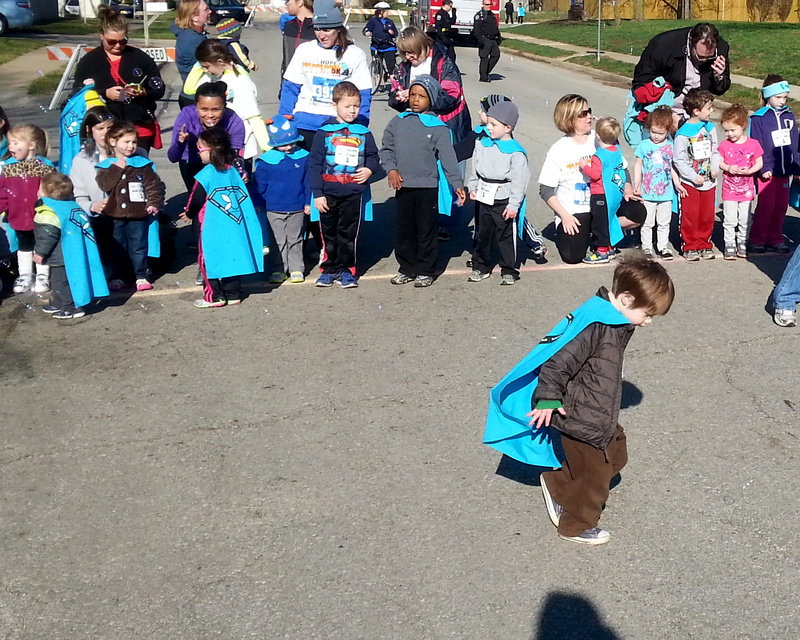 The runners dedicated their run to these kiddos from across the country. 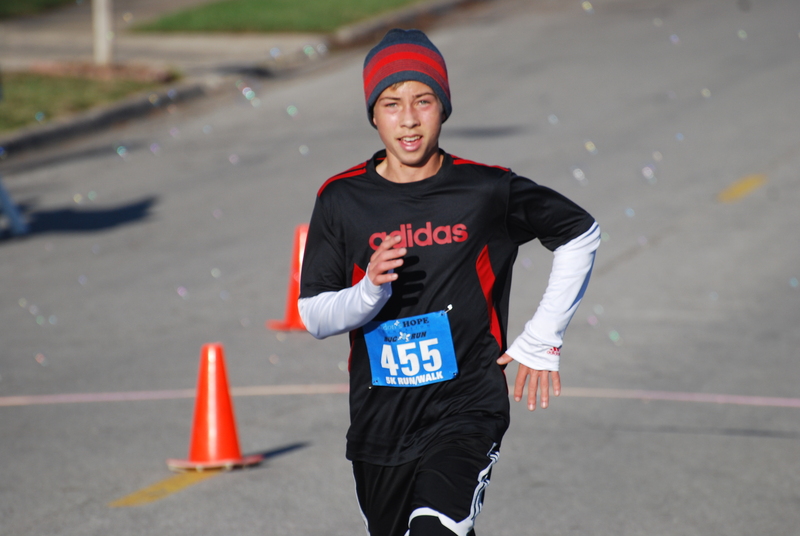 One of the SMA kids who was being run for received the medal his runner won at the race. How amazing is that? 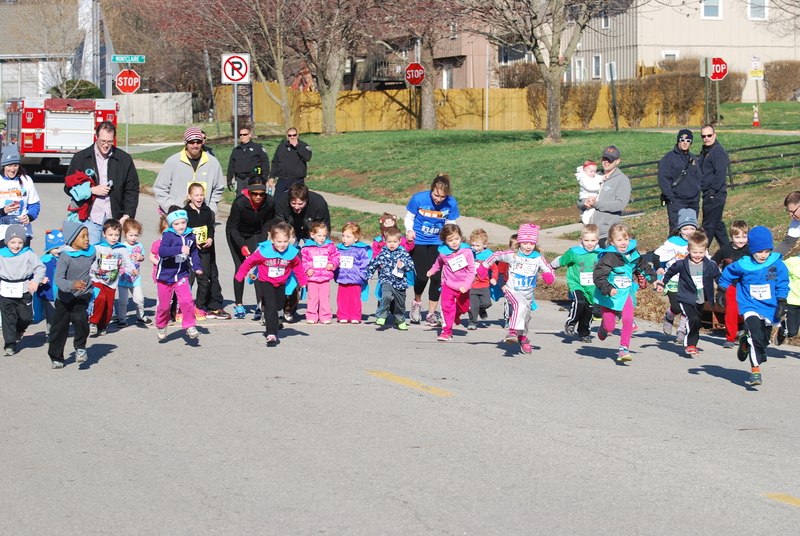 Kids under 5 run in the Bitty BUG RUN. Do you know who won? WE ALL DID…because their all so darn cute! Kids helping kids will pull at our heart strings every single time. It was truly an amazing day and we are blessed to live in a community that is willing to stand beside us, put on a cape and fight this horrible disease. SMA is hard, very hard, but to feel the love that surrounds us makes the fight seem a little easier. 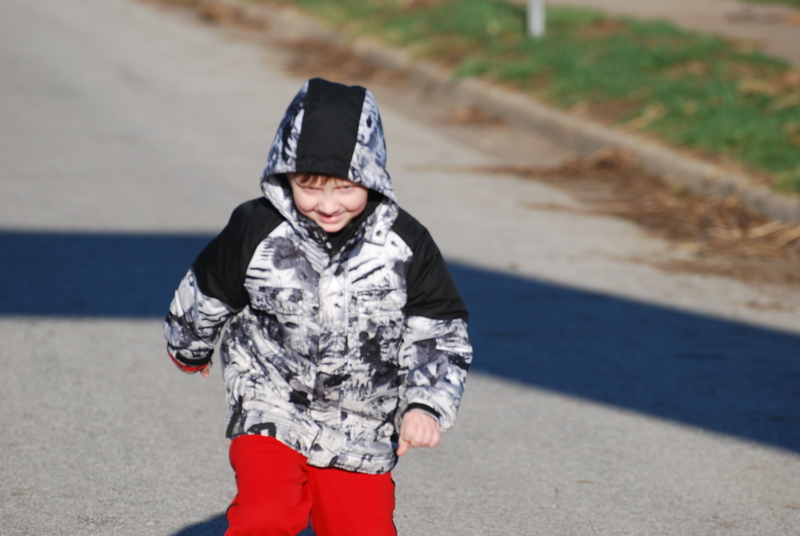 It is that feeling that we want to pass on to other SMA families, that feeling of inclusion. That inclusion may be what some families need just to fight one more day, and then another, and then another. We will see you you next year for ANOTHER BUG RUN!!!!!! Pictures courtesy of Jeff Lentz. Thank you Jeff! 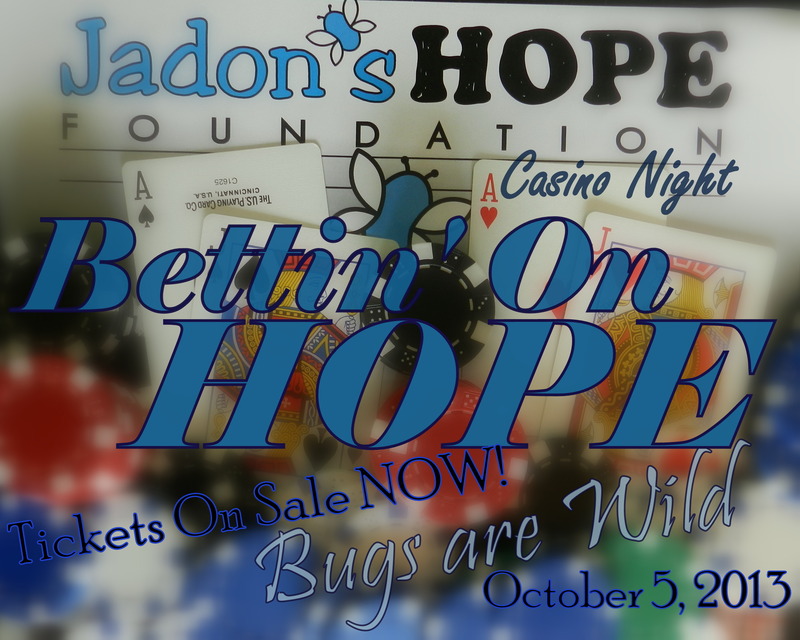 On Saturday October 5th Jadon’s Hope Foundation hosted our fundraising event, “Bettin’ on HOPE!” The evening was appropriately titled because that is what we do every day of our SMA journey – we bet on hope and we dream of a day when SMA is cured. 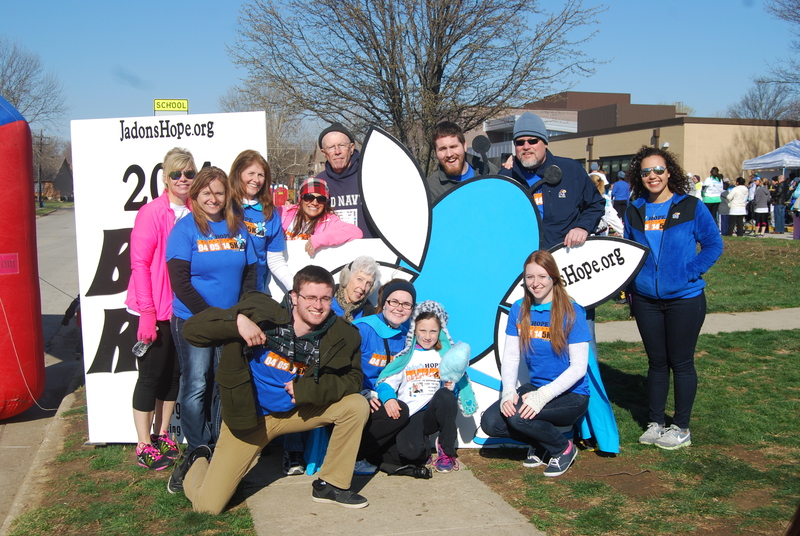 As a newly formed foundation, we are committed to building awareness, funding research efforts and helping families. 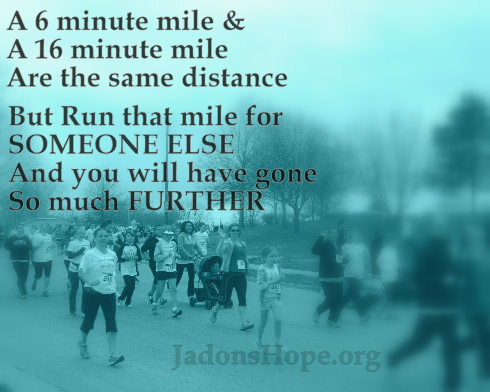 When Jadon was diagnosed, we were blessed to be surrounded by amazing support from families that had walked the path before us and we vowed that one day, we wanted to pay it forward and help other SMA families. 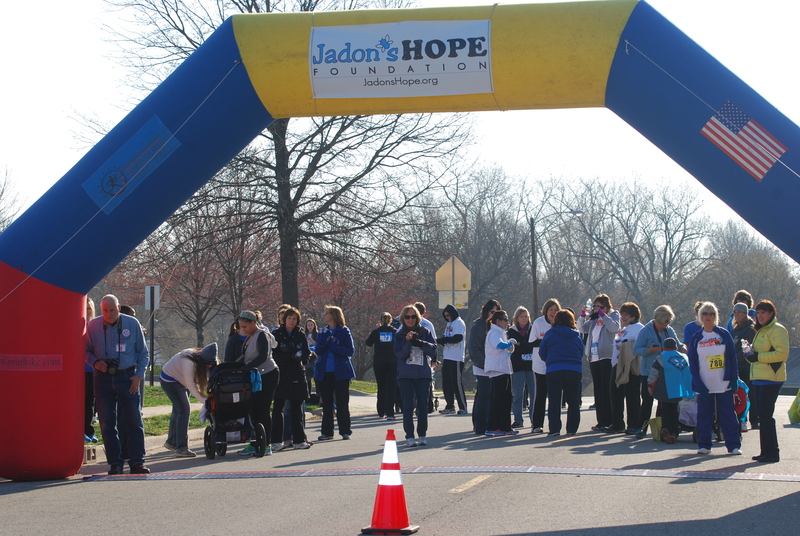 In our first year, Jadon’s Hope Foundation has been focused on raising awareness and directly impacting families. The night started out strong and was full of awareness! 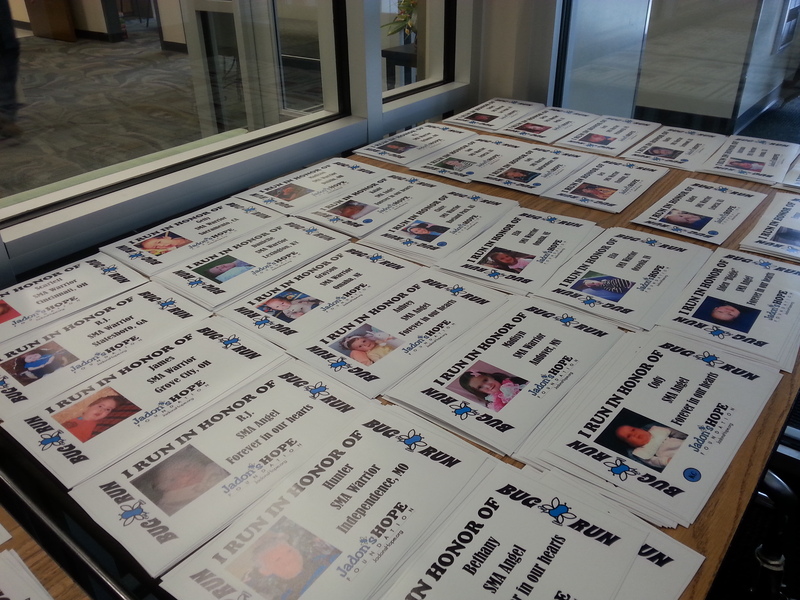 On every table we had pictures of SMA Angels and SMA Warriors – each paired with a Personal Sponsor. 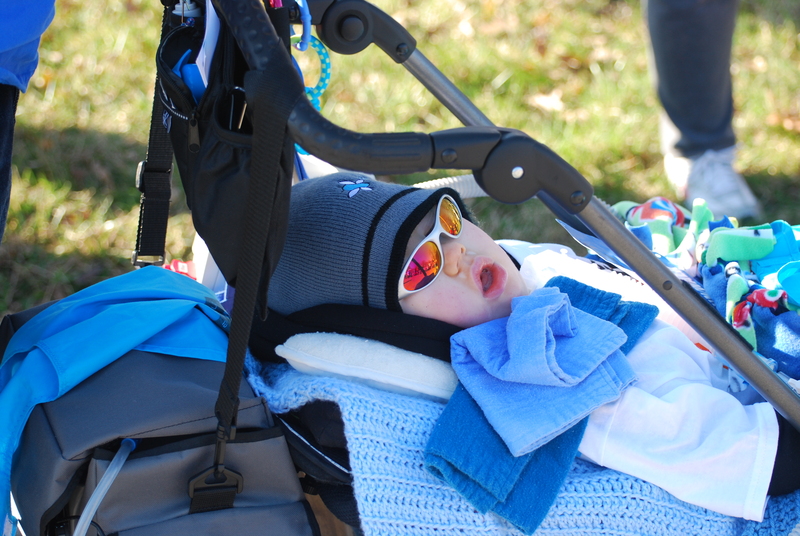 Our Personal Sponsors came from all across the country – in many cases, they did not know the SMA Angel or SMA Warrior they would be sponsoring, but they too want to see an end to SMA. 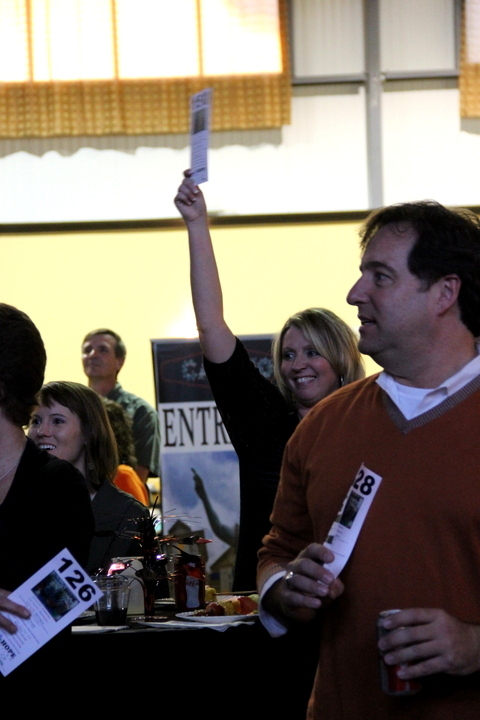 And with every bid that took place during the live auction and every bid line filled during the silent auction – we saw another Angel or Warrior face. Those precious faces we are committed to help. We saw families receiving a piece of much-needed equipment. We saw one more person learning about SMA. 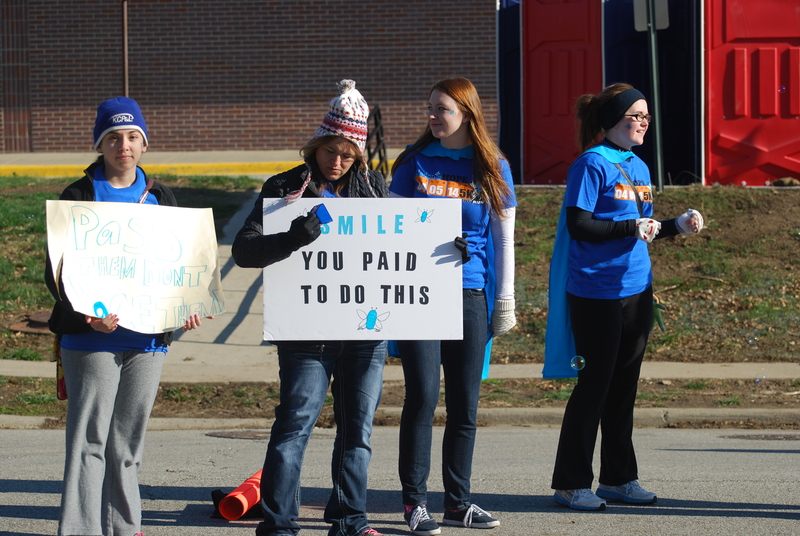 We saw extraordinarily generous people open up their hearts and want to make a difference in the lives of SMA families. And for that, we are humbled. For those who attended, a sincerely giant THANK YOU. 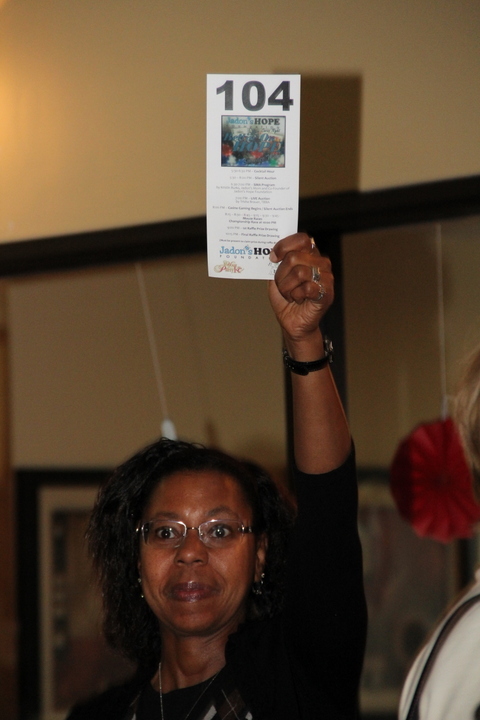 The event raised over $25,000. 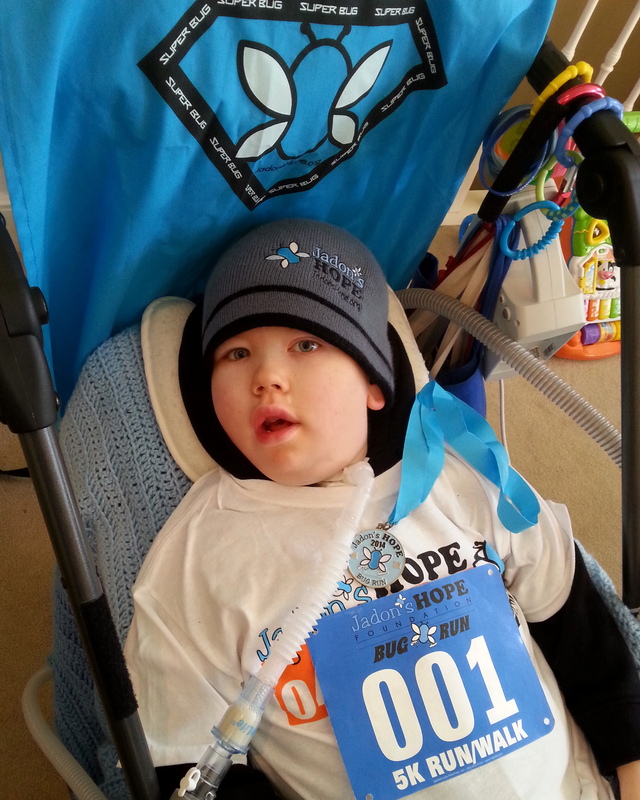 Because of you, JHF will be able to have an immediate impact on SMA Families. Earlier this year, we partnered with the Gwendolyn Strong Foundation (GSF) with a grant for their Project Mariposa program. 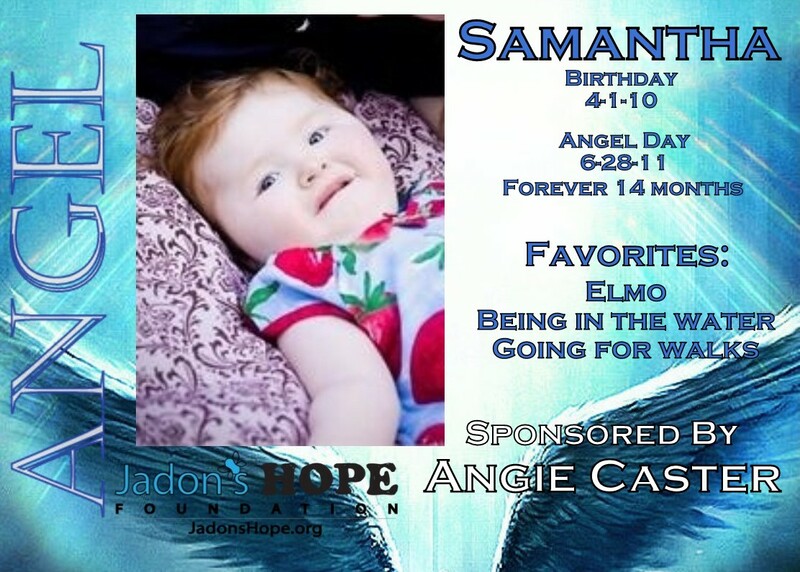 With funds raised during “Bettin’ on Hope”, we will be increasing our support of Project Mariposa as well as purchasing much needed equipment for the Families of SMA equipment closet. This means over 25 families in the coming months are going to be directed impacted. WOW! Truly, it was a night to remember. There were so many people who did so much, but we definitely have to recognize Robbin Gill who put the whole night together. She did an amazing job with the entire event. We also have to thank Christy Rottinghaus for her hard work of hitting the pavement and finding people willing to donate all of those amazing items. 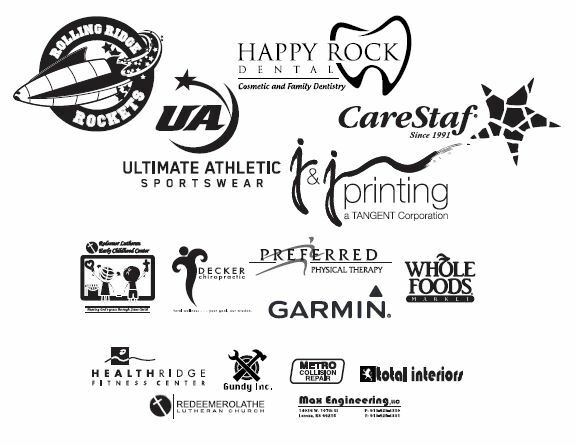 We would like to thank our, event sponsors, table sponsors, and mini-racer sponsors. Besides the typical casino games like Blackjack, craps, and roulette we also had LIVE MOUSE RACES. This is the Championship Race!